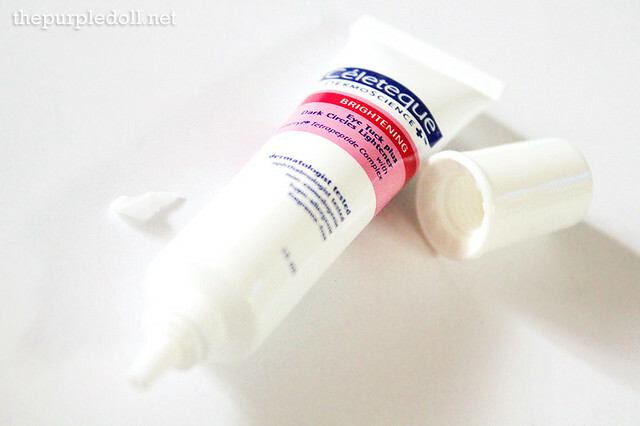 Say bye to dark puffy eyes and chapped lips with Celeteque! Earlier this month, I received products from Unilab for review. And while a big part of this blog houses restaurant reviews, I can't be any happier to dedicate this spot for something beauty-related. In all honesty, I was so giddy when I received my loot. It came at a perfect time because I was about to buy these exact same products! Could you believe it? Inside the parcel came five boxes each of the Celeteque Brightening Eye Tuck Plus Dark Circles Lightener and the Celeteque Sun Care Soothing Lip Balm. I have not used any of these products yet prior to receiving them, but they are just two of the many Celeteque DermoScience™ items I was eying to buy the last time I went to Watsons. Since receiving them in the mail, I have given these products about two weeks to try. So now, let me share with you what I think about them. 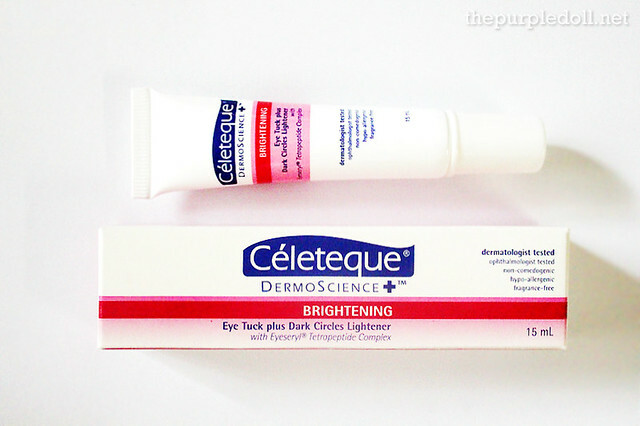 The Celeteque Brightening Eye Tuck Plus Dark Circles Lightener comes in a 15ml tube. It contains Eyeseryl Tetrapeptide Complex that counters the formation of loose skin around the eyes effectively by improving the skin's elasticity and fighting water accumulation. It also promises to significantly lighten the eye area in just four weeks. Now, I've never ever tried using an eye cream since I've always thought I'm still quite young to be using one. However, the Celeteque Brightening Eye Tuck Plus Dark Circles Lightener is perfect for me since I have puffiness under my eyes which while I normally like (makes my eyes look cute), can sometimes get too puffy and unflattering. My dark eye area... By the way, please excuse my unruly brows. Another bonus of the Celeteque Brightening Eye Tuck Plus Dark Circles Lightener is how it can also help prevent fine lines. At the moment, I'm not yet too worried about fine lines and crow's feet. But in beauty and skincare, it's better to be early and prepared! I think so. My eye puffiness has lessened. However, I have to keep using it for a few more weeks to see how effective it is against my dark eye circles. Will update this by then. 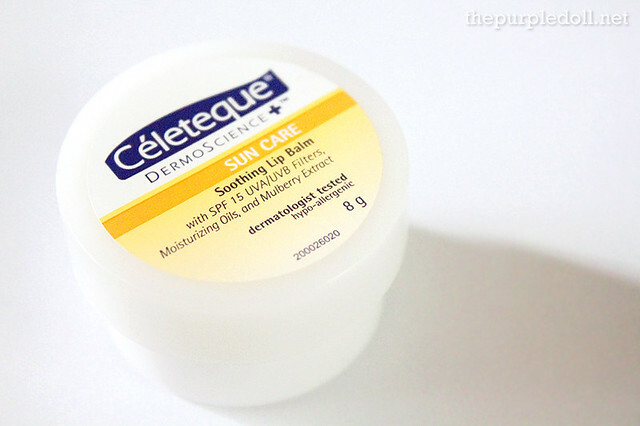 The Celeteque Sun Care Soothing Lip Balm comes in an 8g pot. It contains UVA/UVB filters which prevents UV radiation from damaging and aging the lip area rapidly, and has moisturizing oils to keep the lips soft and smooth. It also has Mulberry Extract that helps brighten discolored lips, especially those darkened by smoking. 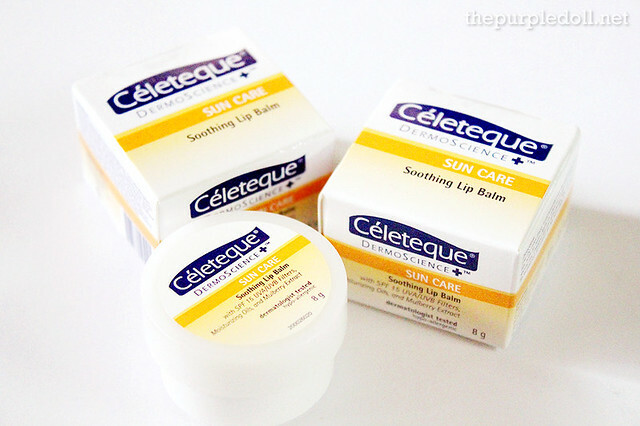 While this is my first time to try Celeteque's lip balm, I've long been a user of lip balms and other lip moisturizing products. Some may take their lips for granted, but not me! For as long as I can remember, my lips tend to dry and flake a lot. (Eww, I know!) So ever since my late years in grade school, lip balms have been one of my most reliable friends. for a smooth gliding lip color application. 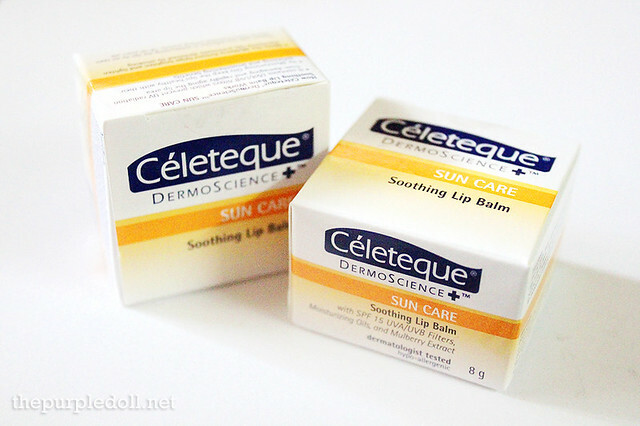 I've been contented with my old lip balm from Carmex, but the Celeteque Sun Care Soothing Lip Balm is a good contender. I always apply it before putting on any lipstick, and it definitely preps my lips and makes applying lip colors smoother. I also use it at night before sleeping, so I can wake up with softer lips. And while I don't have problems with lip discoloration, it's nice to see some lip lightening and brightening action. Definitely! For the two weeks I've been using it, I noticed my lips have been rarely dry. It has also lightened them a bit, making them look brighter and more light pink. I just hope they'll offer the same product in a tube packaging. I'm worried when that particular time comes. It might be difficult to get the product when one almost hits the bottom of the pot. What else can I say? 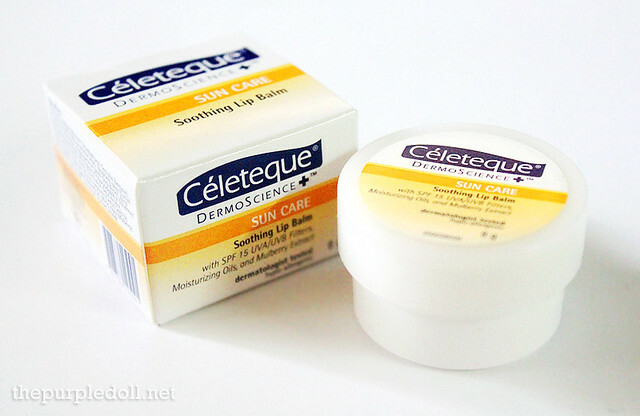 So far, these 2 Celeteque DermoScience™ products impressed me. I've only used and have been using their Hydration Facial Wash, but I think I need to buy more from the brand. Next time, I might just check the Acne Solutions line. And of course, more from the Hydration, Brightening and Sun Care lines. and their Facebook Page, or follow them on Twitter. Thanks for giving a review of this. I really need to try CELETEQUE BRIGHTENING EYE TUCK PLUS DARK CIRCLES LIGHTENER. It's affordable and it might work on my dark circles. I have been applying concealer under my eyes but the dark circles are still noticeable. I should be applying something that will not just cover it temporarily but something that will lessen or permanently lighten those dark circles. I will surely recommend this to my wife! I really wanted to try Celeteque medyo natatakot lang kasi I don't know kung what will be my skin's reaction sa product. But since you have a nice review with them, I'll try it na. :) Thank you! Now! 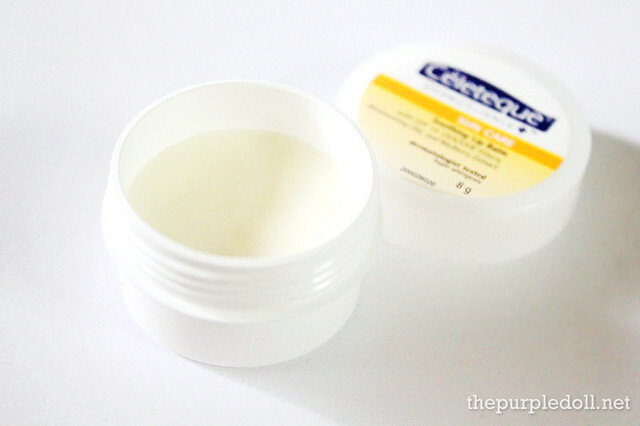 i have an idea what product i will use when it comes to my puffy eyes and chapped lips! 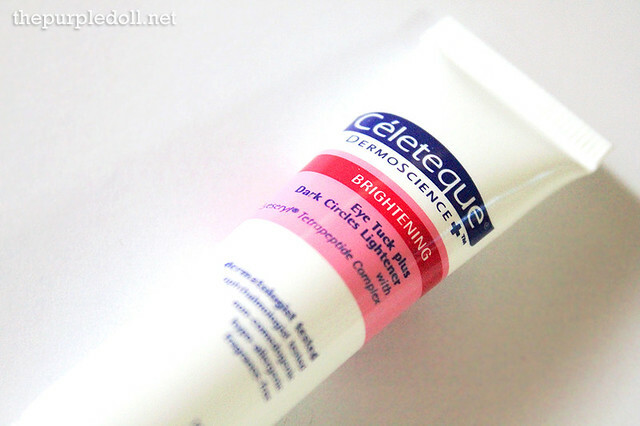 i would ♥ to try Celeteque's Brightening Eye Tuck Plus Dark Circles Lightener coz i have dark circles under my eyes. i hope it lessens the darkening. 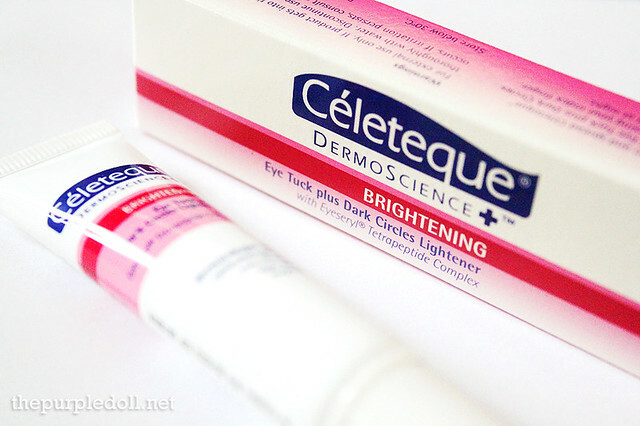 Tried the Celeteque's Brightening Eye Tuck last month and it really works for me. 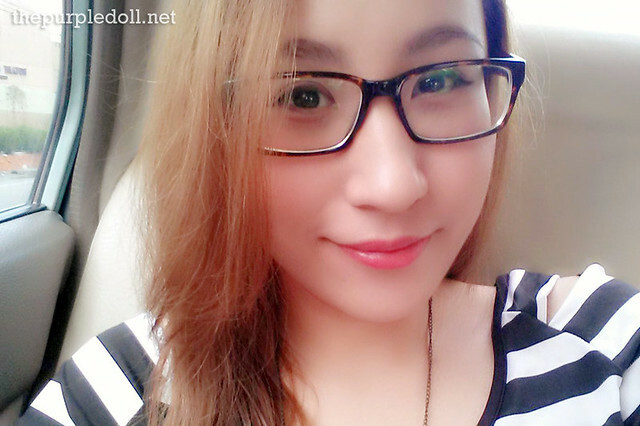 Dark circles under my eyes became lighter and lighter. Thanks for this post! 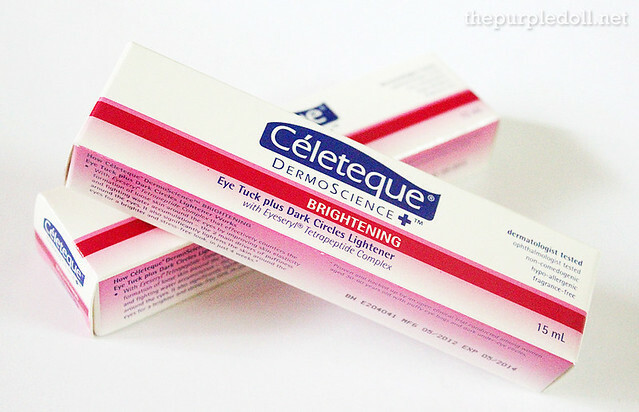 I am going to try the Celeteque Brightening Eye Tuck Plus Dark Circles Lightener! Oooh, I didn't know about these. I'll purchase and try these out myself. :D Thanks for the great post. 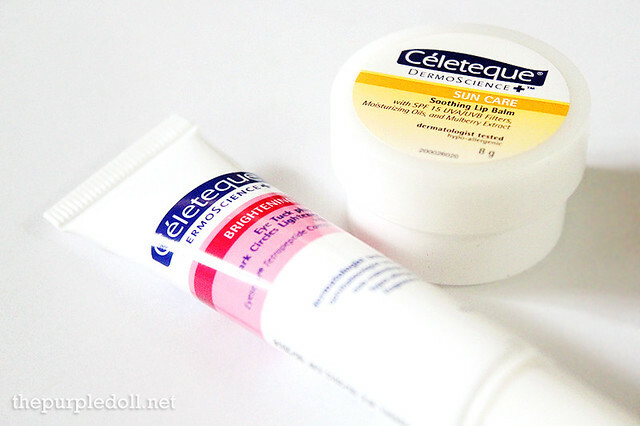 Celeteque is one of my trusted brands because it's non-comedogenic. Safe for my oily & acne-prone skin. I really got to try this, its always been my problem to have dark puffy eyes..super thanks for sharing this, I'm not aware that celeteque have this products.. I will try the celeteque brightening eye tuck i have puffy eyes .. ive tried different products na but none of them works well on me. maybe this one will help me. Layered Dip: Which Layer is Your Favorite? Momax iPower Milk: Even your gadgets need milk!